Green to Gold is a program designed to allow qualified and inspired young enlisted soldiers to return to college, receive their baccalaureate degree, and earn a commission as an Army officer. Enlisted members who meet the prerequisites can either apply for a 2, 3, or 4-year scholarship or can participate in the Green to Gold program without applying for or earning a scholarship. Soldiers who participate in this program are discharged from active duty and enlisted in the Army Reserve as part of their ROTC program. If otherwise eligible for Montgomery G.I. Bill Benefits, cadets who entered the ROTC through the Green to Gold program, whether under a scholarship or not, may use their Montgomery GI Bill benefits and are paid a monthly tax-free stipend. (Sophomores $300, Juniors $350, Seniors $400). Green to Gold briefings are normally conducted at Army Installations by a local Army ROTC cadre member. The briefings are normally done on a walk-in basis. Age: Under 30 years old on 30 Jun of the year you commission (waivers can be granted). Have a favorable recommendation from your Company Commander and the first Field Grade officer in the Chain-of-Command. Completed 2 years of College and be accepted as an academic Junior. Have a cumulative GPA of 2.0 on a 4.0 scale. Produce an approved academic worksheet (Cadet Command Form 104-R, which can be obtained from any ROTC detachment) which shows completing the program in two years. Have a minimum of 2-year Active Duty as well as 3 months of active duty for every one month of specialized training (waiver can be requested). Age: Under 27 years old on 30 Jun of the year you commission (a 3-year extension is provided based on years of service). With 1 year of service, you must be under 28 years old on 30 Jun of the year you commission. With 2 years of service, you must be under 29 years old on 30 Jun of the year you commission. With 3 years of service, you must be under 30 years old on 30 Jun of the year you commission. Have neither UCMJ or civil convictions nor have any such actions pending (waiver possible depending on offense/punishment). Cannot have been convicted of a Domestic Violence Crime. GT score of at least 110. Have a minimum ACT score of 19 or SAT score of 920 for a 3 and 4-year scholarship (no waivers). Pass the Army Physical Fitness Test (APFT) with a minimum of 60 points in each event (no waivers). Meet height and weight standards IAW AR 600-9 (no waivers). Favorable National Agency Check (or have initiated the action). Not be a conscientious objector. No more than 3 dependents including spouse (waivable). Not be a single parent (no waivers). For more information about the Army's Green to Gold Program, contact: HQ, Cadet Command, ATTN: ATCC-OP-I-S, 55 Patch Rd., Bldg. 56, Fort Monroe, VA 23651-1052 in writing or via E-Mail to atccps@usacc.army.mil. 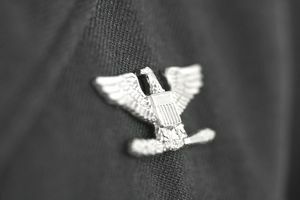 What is the Air Force Nurse Enlisted Commissioning Program?